Use for fastening and pre-drilling into wood, plastic and light-gauge metal. Maximum torque output for greater power. 16-position adjustable clutch provides wider range of torque settings. Variable speed trigger switch for better control and overload protection. Quick release metal chuck for quick bit changes and prevents bit runout. Electronic brake provides greater amount of operator control. 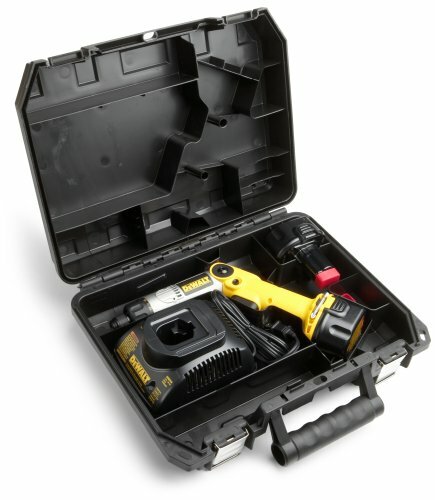 STANDARD EQUIPMENT: one-hour charger, (2) 7.2 Volt compact battery, 2 screwdriver bits, and heavy duty carrying case. SPECIFICATIONS: 7.2 volts, 0-500 RPM no load speed, 80 in/lbs. maximum torque, 3.5 lbs. tool weight, 1/4" hex drive. I have several corded and cordless tools but this one is by far the most used tool in my DIY arsenal. This tool has enough power to drive 1.5 inch drywall screws and is light enough you can use it all day with out fatigue. The quick release action makes it easy to switch between various sizes of cross, flat, square and specialty bits. This tool is just the right speed to do electrical work but not fast enough for some construction work. But I don't need it to be. I have my full size drills for that. This tool is well built. I have dropped or knocked over mine several times with no damage. It even feels better in my hand than some of the less expensive cordless screwdrivers my friends have. I work as a automotive technician and use this tool 5 days a week. Not only do I use it on screws but also on nuts and bolts. This is the second unit I purchased, the first one still works perfectly after 2 years but I needed new batteries. It was cheaper to buy a second unit than 2 new batteries. The has good power for it's size and is extremely durable. This tool has great torque and having 2 battery's means it will be ready to go all day. 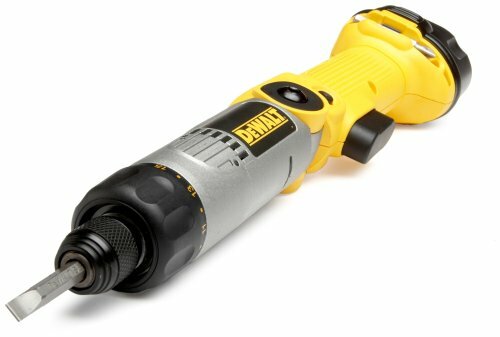 The Dewalt screwdriver is an excellent tool and is really great for driving screws and light duty drilling. The chuck is easy to operate and I really like the fact that the drill is variabloe speed. I used it once & half way through a job i droped it out of my bags from 5' up on ladder. It broke!right at the joint. i'm a contractor & use dewalt more than anybody. i still like the idea of the tool but it could use being a little stronger. 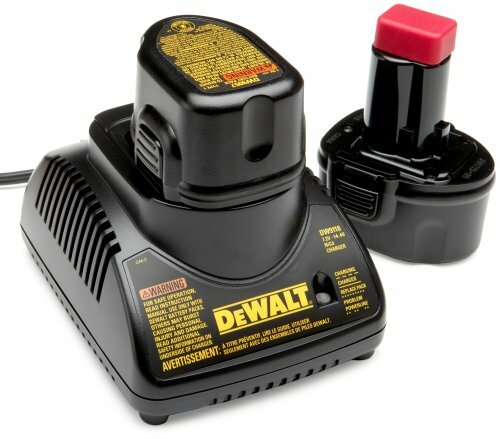 come on dewalt you can do better!!!! One of my favorite and most used tools! 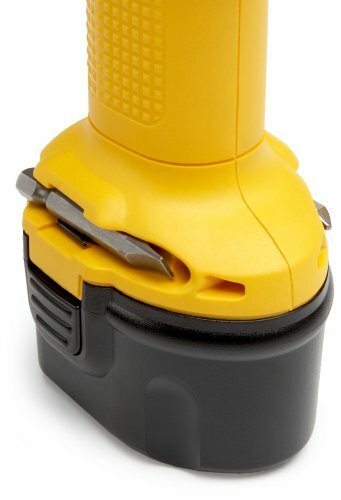 I have owned/used this cordless screwdriver for several months now and one of the best units for it's price. It's strong enough to drive just about any kind of screw plus it can be used for drilling small holes. I especially like the fact that it comes with a case and two batteries (one to use, one to charge) and the charge time is fairly short (by the time I run out of juice with the first battery, the second is ready to go). The movable handle is also a huge plus as it allows for easier holding with increased torque. I have used this product at work for over 5 years, I threw away all of the other brand drivers that I had. 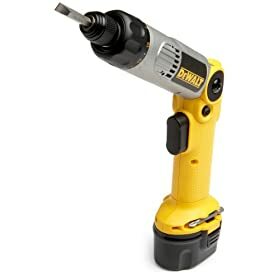 This is a workhorse screwdriver/drill lots of power and flexibility, it has survived many drops out of 10 foot ceilings with hitting so hard battery pak fell off then reattaching battery and back to work again. I liked it so well that i bought one to use at home. The battery paks last a long time before recharge the only thing to improve would be having a dual battery charger so that both batteries would be ready to go. The only other thing is the batteries are expensive to replace. Don't waste your money on cheaper screwdrivers this one is built to work hard. Have owned one of these for some time. They are so handy and powerful I decided to get an extra driver and some more batteries. This is the most handy tool I have ever owned. Love it, recommend it. This is the best min gun on the market.I have used others,I won't mention them but I'll tell you that I do not leave my house for a job without it.Powerful great battery life quick change feature slim designe means your going to get into tight spots with confidence period!!! I don't write reviews BUT needed to write this one. I have used this amazing little giant to install almost 1000 square feet of cedar decking and about half that of tile backer. It is indefatigable, and unlike its larger bretheren, it can be very accurately controlled. (No "over-driven" deck screws.) While decking, I never had to wait for a charged battery - one would lose power just as the other obtained full charge. And by dialing back the clutch, I have put this little demon to work on some very delicate items: Electrical outlet faceplates, computer components, etc. The only complaint is occasionally losing a bit due to the chuck being inadvertently activated by clothing or some other object. This is particularly annoying if you are up on a ladder, or if the bit rolls off the deck and into the river. Excellent screwdriver. I've had it since 2003 and the driver still works great and the battery is amazingly is still working great! It's been 2 years, and it still works like a charm. Good enough battery life, very powerful for a 7.2V. I've owned this screwdriver for a few years and use it all the time. It is very easy to handle and has all the torque you will ever need. The batteries seem to last a long time. By far the best cordless screwdriver I've ever used. This is my 4th cordless screwdriver. 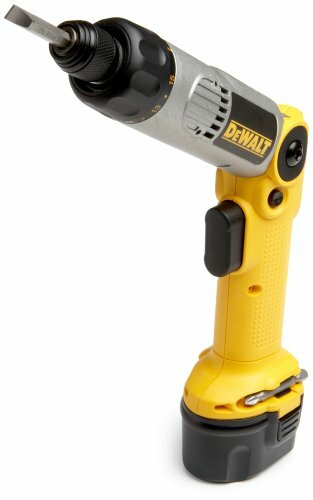 It is my second Dewalt. I had to have another because this is the one everyone borrows. 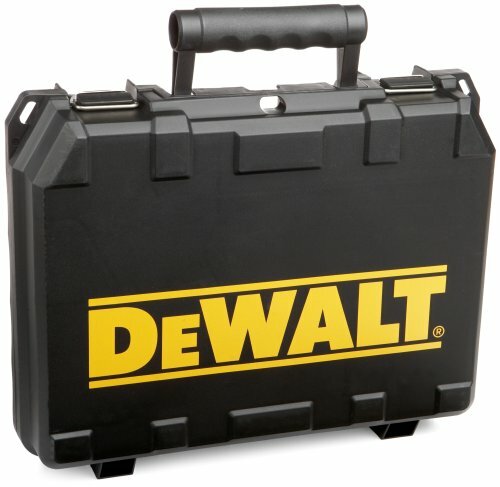 Everyone prefers Dewalt to the other choices. I've had this tool for a few years and it has done everything I could expect of it. Now that it's a few years old I find the batteries are not holding a charge for more than an hour of sporadic use. It wasn't much better when they were new either. They are STILL using Nicads in this tool. I think it's the only tool left not using NiMH or Lithium Ion. Two batteries are a MUST because when this tool dies, it dies. If it used LIon or NiMH I'd happily replace it now but I'm very disappointed to see the Nicads are still being used. It would get 5 stars if it used other batteries. Over the past 20-30 years I've been through a variety of other handheld cordless screwdrivers, but this one is far and away the best of the lot. I've had one for about 5 years, use it frequently, and noticed that one of the batteries was showing signs of age (not taking a full charge). I began pricing replacement batteries, which were not available from the big box hardware stores, but were available online for about $28 each plus shipping. When I saw that for less than $10 more at Amazon I could get a whole new kit (new driver, charger & two batteries) it was kind of a no-brainer. Great tool, now times 2!